For the civil use of this facility and airport information, see Sacramento Mather Airport. For the census-designated place, see Mather, Sacramento County, California. Mather Air Force Base (Mather AFB) was a United States Air Force Base, which was closed in 1993. 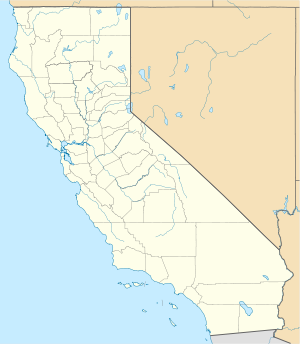 It was located 12 miles (19 km) east of Sacramento, on the south side of U.S. Route 50 in Sacramento County, California. Mather Field was one of 32 Air Service training camps established after the United States entry into World War I in April 1917. The Mather AFB land has various post-military uses including Sacramento Mather Airport, established in 1995. Some of the land was included in the City of Rancho Cordova, when it was incorporated in 2003. ✪ In March 1972 a huge B-52 Bomber crashed in south Orlando killing all on board. Mather Air Force Base was named after Second Lieutenant Carl Spencer Mather, a 25-year-old army pilot killed in a mid-air collision while training at Ellington Field, Texas on 30 January 1918. Mather learned to fly in 1914 at the Curtiss Flying School in Hammondsport, New York, and became an instructor there at the age of 20. He enlisted as an aviation cadet in August 1917 and as a licensed pilot was commissioned with part of his class as a second lieutenant on 20 January 1918. He continued training to earn a Reserve Military Aviator rating and promotion to first lieutenant but was killed ten days later. The remainder of his class requested that Mills Field be renamed in Mather's honor. In January 1918, the Department of War sent a cadre of officers to the Sacramento, California area to survey sites for an aviation school. The group decided on a location about 12 miles southeast of Sacramento called Mills Station. An agreement to lease the land to the Army was concluded, and the construction of some 50 buildings began on 15 March 1918. Mills Field, named after the local community was opened on 30 April 1918. It covered over 700 acres and could accommodate up to 1,000 personnel. Dozens of wooden buildings served as headquarters, maintenance, and officers’ quarters. Enlisted men had to bivouac in tents. Mather Field's first commander was 1st Lieutenant Sam P. Burman, who assumed command on 15 March 1918. The first unit stationed there was the 283d Aero Squadron, which was transferred from Rockwell Field, North Island, California. Only a few U.S. Army Air Service aircraft arrived with the 283d Aero Squadron, Most of the Curtiss JN-4 Jennys to be used for flight training were shipped in wooden crates by rail. Mather Field served as a base for primary flight training with an eight-week course. The maximum student capacity was 300. Mather Field was reactivated on 1 April 1930 as a sub post of the Presidio of San Francisco and Hamilton Field during the 1930s, and of Stockton Field briefly in 1941. Mather, however, had to be refitted with new electrical, water, and telephone lines. Soon, Mather was again alive with activity, though the renovation process could not compare to the original base construction. In 1941 Mather Field became the site for advanced navigator training. The Army Air Forces Navigator School began operating on 2 August 1941. Major new construction was completed 16 March 1942. The school consisted of a rigorous 18-week course consisting of instruction in celestial navigation and dead reckoning. To complete the course, cadets were required to spend 100 hours navigating during both local and long-range flights. However, in 1943, Army Air Forces Training Command transferred the Navigator School from Mather Field to Ellington Field, near Houston, Texas. Mather became a twin-engine Advanced Flying School, training pilots on North American B-25 Mitchell medium bombers. In 1944–45 it became an aerial port of embarkation to the Pacific in preparation for the expected transfer of large numbers of men and aircraft from Europe to the Pacific. During the summer of 1945, the 509th Composite Group was transferring from its Second Air Force training base at Wendover Army Air Field, Utah, the group landed at Mather prior to embarking on its trans-Pacific movement to Tinian (in the Marianas Island chain). Due to the extraordinary security of the unit because of its atomic mission, the commanding general of Mather Field was told at gunpoint that he was not allowed on board the B-29 The Great Artiste, which had landed there. During the Cold War, Mather AFB became the sole aerial navigation school for the United States Air Force after its companion navigation schools at Harlingen Air Force Base, Texas, and James Connally Air Force Base, Texas, were closed and Ellington Air Force Base was converted into a joint Air National Guard Base, Coast Guard Air Station and NASA flight facility in the 1960s. The 3535th Navigator Training Wing of Air Training Command (ATC), was responsible for bombardier training beginning in 1946 and later transitioned to undergraduate navigator training (UNT), advanced navigator bombardier training, electronic warfare officer training and weapon systems officer training after the closure of the other navigator training bases. Renamed the 3535th Flying Training Wing, the wing initially flew the Convair T-29 for Air Force navigator training until the early 1970s, when it was replaced by the Boeing T-43A (Boeing 737-200) aircraft. The 3535th was replaced by the 323d Flying Training Wing on 1 April 1973. In 1976, following the decommissioning of Training Squadron Twenty-Nine (VT-29) at Naval Air Station Corpus Christi, Texas, the 323d began training student Naval Flight Officers in the Advanced Maritime Navigation training pipeline. Navy students in this pipeline were destined to fly land-based naval aircraft such as the Lockheed P-3 Orion, Lockheed EP-3 Aries and Lockheed EC-130 and Lockheed LC-130 Hercules aircraft. This resulted in the UNT course being redesignated as Interservice Undergraduate Navigator Training (IUNT). The Navy also activated Naval Air Training Unit (NAVAIRTU) Mather as the parent activity for United States Navy instructors, USN students and NATO/Allied naval aviation students assigned to the 323d at Mather. The Marine Aerial Navigation School also relocated to Mather in order to train enlisted United States Marine Corps and United States Coast Guard navigators for Marine Corps KC-130 and Coast Guard HC-130 aircraft. Cessna T-37 aircraft were added to the IUNT curriculum in the late 1970s for USAF students destined for high performance aircraft such as the F-4 Phantom II/RF-4, F-111/FB-111 and B-1 Lancer. The 323d continued training USAF navigators, Naval Flight Officers, NATO/Allied students, and conducting advanced training for radar navigator/bombardiers, electronic warfare officers and weapons systems operatorss until it was inactivated on 30 September 1993. Concurrent with the wing's inactivation, all USAF Navigator and Naval Flight Officer maritime navigation pipeline training was moved to Randolph Air Force Base, Texas and consolidated under the 12th Flying Training Wing, which up until that time trained and certified instructor pilots. Mather AFB had a late 1940s/early 1950s Radar Bomb Scoring detachment of the 3903rd Radar Bomb Scoring Squadron. The Mather AFB general surveillance radar station was established after a second stage of "additional Lashup stations and heavy radar equipment [was] authorized" in the fall of 1949.:124 Site L-37 began operation with an AN/CPS-6 in June 1950, and the 668th Aircraft Control and Warning Squadron was assigned on 1 January 1951 . The station later converted to AN/FPS-20A and AN/FPS-6 and AN/FPS-6B radars. By 1960 the station became a joint-use facility with the Federal Aviation Administration and in 1961, the two height-finder radars were removed. The station became part of the San Francisco Air Defense Sector with the radars providing radar data to the Beale Air Force Base DC-18 SAGE Direction Center via the Burroughs AN/FST-2 Coordinate Data Transmitting Set at Mill Valley Air Force Station (Z-28). The 668th was inactivated on 1 September 1961, and Detachment 2 of the 666th Radar Squadron performed subsequent operations until inactivated on 1 September 1966. The FAA operates the Mather radar site with an AN/FPS-91A of the Joint Surveillance System. On 1 April 1958, the Strategic Air Command (SAC)'s 4134th Strategic Wing composed of the 72d Bombardment Squadron and 904th Air Refueling Squadron was assigned to Mather AFB, the latter flying the KC-135A Stratotanker. The Strategic Wings were formed in the late 1950s as part of SAC's plan to disperse its heavy bombers over a larger number of bases, thus making it more difficult for the Soviet Union to knock out the entire fleet with a surprise first strike. The wing had one squadron of B-52 Stratofortresses with 15 aircraft. Half of the planes were maintained on 15-minute alert, fully fueled, armed, and ready for combat. The remaining planes were used for training in bombardment missions and air refueling operations. The wing also had a squadron of KC-135 tankers. The 4134th Strategic Wing was discontinued on 1 February 1963. Concurrent with the inactivation of the 4134th, the 320th Bombardment Wing was activated and absorbed its assets. It operated as a tenant unit from 1963 to 1989, initially with the B-52F Stratofortress before converting in 1968 to the B-52G. The 441st Bombardment Squadron replaced the 72d and the 904th Air Refueling Squadron was transferred from the 4134th to the 320th.. In addition to SAC nuclear alert, the 320th also conducted conventional operations, including maritime missions in support of the Navy with aerial mines and AGM-84 Harpoon missiles. The 320th was inactivated on 30 September 1989. The 940th Air Refueling Group, an Air Force Reserve unit, moved to Mather AFB from McClellan Air Force Base in 1977, shortly after it transitioned to the KC-135A. Operationally-gained by SAC, the unit upgraded to the KC-135E in 1986. With SAC's inactivation in 1992, the unit was then gained by the Air Mobility Command and redesignated the 940th Air Refueling Wing in 1993. Following the closure of Mather AFB, the 940th relocated back to McClellan AFB in 1993. When McClellan closed in 1998 the wing then moved to its current station at Beale Air Force Base. There are rare wetland vernal pools, which are unique to California, and numerous plant and animal species exist on the site that became Mather Air Force Base. The chiefly grassland ecological community continues to hold a considerable number of plants, mammals, birds and arthropods. Within the plant community are large numbers of native grass and forb species. One example of a native wildflower found here is the Yellow Mariposa Lily. Another example is the Vernal Pool Buttercup var. trisepalus. The vernal pools at Mather are also habitat to Ahart's Dwarf Rush var. ahartii, Boggs Lake hedgehyssop, and the rare Legenere limosa. ^ "Cordova Community Plan" (PDF). Sacramento County Board of Supervisors Resolution No. 2003-0551. 23 April 2003. Archived (PDF) from the original on 2 February 2017. Retrieved 14 November 2016. ^ Schaffel, Kenneth (1991). Emerging Shield: The Air Force and the Evolution of Continental Air Defense 1945-1960. General Histories (Report). Office of Air Force History. ISBN 0-912799-60-9. Archived from the original (45MB pdf) on 13 November 2005. Retrieved 2011-09-26. ^ "Mather Air Force Base Superfund site progress profile". EPA. Archived from the original on 16 June 2011. Retrieved 26 April 2010. ^ "The Vernal Pools of Mather Field - Sacramento Splash". sacsplash.org. Archived from the original on 24 March 2013. Retrieved 30 April 2018. ^ "Plants of Mather Field". www.vernalpools.org. Archived from the original on 3 March 2016. Retrieved 30 April 2018. ^ "Field Guide to the Vernal Pools of Mather Field, Sacramento County". cnps.org. Archived from the original on 27 February 2014. Retrieved 30 April 2018. Wikimedia Commons has media related to Mather Air Force Base. Wikimedia Commons has media related to Mather Field.